Looking for a stylish new haircut or want to try a new color? 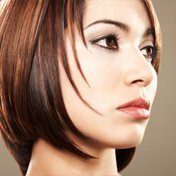 Come to Kelly Hilligoss, a certified hair stylist in Portland, OR. When it comes to originality or uniqueness in hairstyles, you can trust her. From the most basic haircuts to unique French cutting, Brazilian blowout, hair color or length extension, Kelly does it all. Kelly is well-equipped to ensure that you get a trendy hairstyle by a trained professional at unmatched prices. Depending upon the shape and size of your face and overall personality, Kelly will come up with various suggestions of what will work best for you. Using sophisticated equipment and her years of experience in hairstyling, she will give you the hairstyle of your dreams. It goes without saying that you’ll find our environment friendly and soothing to enhance your overall experience. Call now to set up an appointment and get the hairstyle you have been dreaming about. © 2019, Kelly Hilligoss. All Rights Reserved.